The International Center for Women Playwrights has collected an eclectic group of scenes from the work of contemporary playwrights around the world. 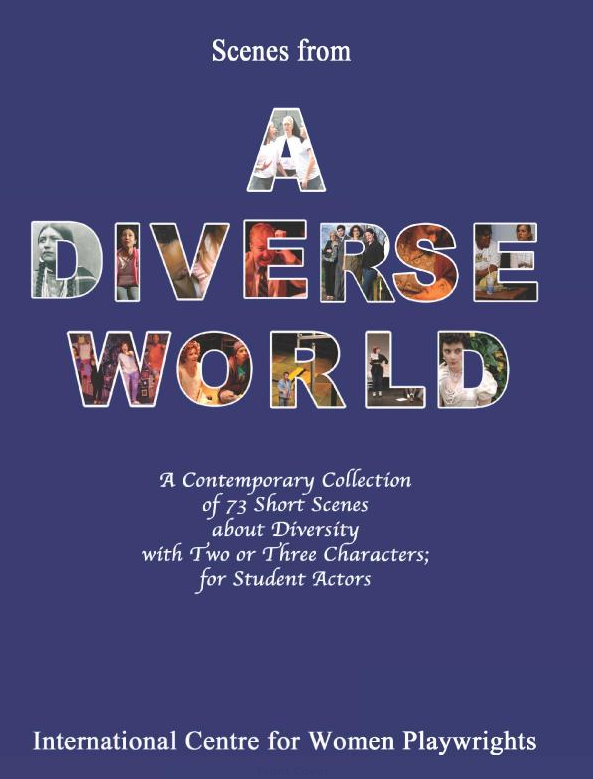 Our goal is to offer drama teachers and their students material that reflects the true diversity of the world we all inhabit. This volume was designed as an alternative to the many popular, mainstream scene study books available today. Traditional publishing houses are often limited in the type of material they publish by the real -- or perceived -- lack of marketability of more "edgy" plays, plays that challenge contemporary social norms or tell the stories of under-represented cultural minorities. Because young people from these under-represented communities may think of theatre as an "elite" or "privileged" art form, we wanted to show them characters they can relate to -- distinct voices with diverse ethnicities, minority gender identities and socio-economic viewpoints that are often marginalized. We hope these characters, and their stories, will make an indelible impact on students and teachers alike.